I get emails almost daily from readers who come across my pillowcase dress tutorials and want more information. So instead of trying to update the several posts I have, I decided to create a new one, combine all information into one place, and put it somewhere prominent on my blog so it’s easy to find and easy to come back to. 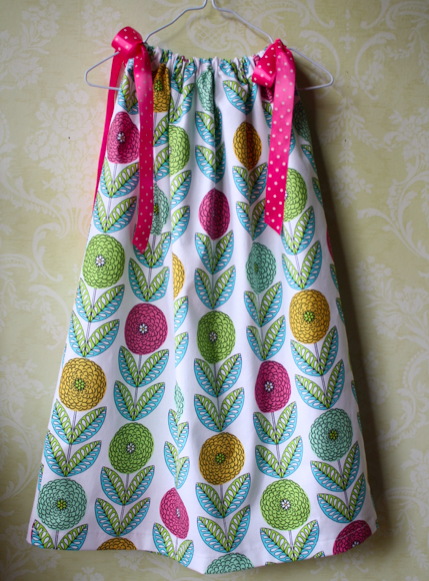 I have 2 pillowcase dress tutorials. The first is a very basic, wonderful for beginners, tutorial. It can be found here. 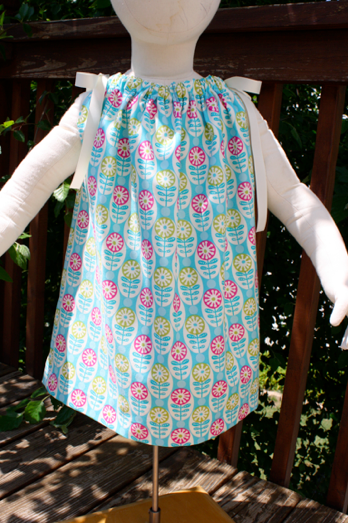 Then I created another tutorial for how I make pillowcase dresses using my serger. The technique is a little different but the finished product looks exactly the same. See it here. **Creating a pillowcase dress with a serger is much like the first tutorial, but it cuts out a few steps, a little bulk, and shortens the creation time by a few minutes. You can certainly create plenty of dresses without a serger, but if you have one, this is by far the quickest and easiest way to make them. It’s also a wonderful project for someone who is new to using a serger and will help you get comfortable using it while creating a well-loved garment. I have information for several places you can donate dresses, for those who are interested. They are specifically wanting dresses in a size 6/6X since the girls who will be getting them are in Kindergarten. I just recently learned about Project Yesu. It’s an organization founded by a young woman name Mallory, who has an amazing heart is raising money to help children in Uganda. She started collecting money for them in 2011 and so far has raised over $12,000! 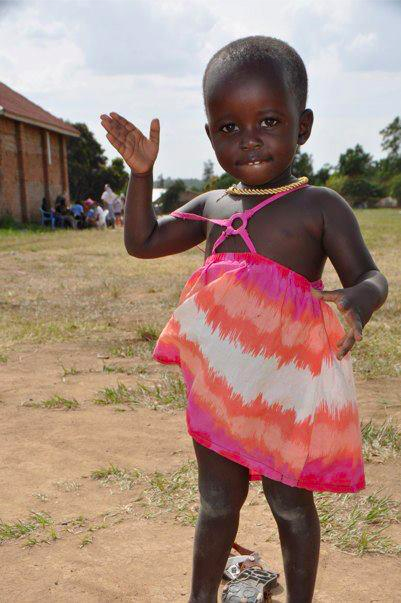 This year Mallory is returning to Uganda and is wanting to take pillowcase dresses to hand out while she’s there. She is collecting dresses through 31 MAY 2013 and is taking them in all sizes. Take a few minutes to look around her site, she’s doing incredible things! For more information you can email her at mallory@projectyesu.org. Several of you have asked me for a printable version of the instructions for you to take to churches and meetings to pass out to the groups who will be sewing dresses. So, here it is. It’s nothing fancy, but it’s all the steps and all the pictures from the original tutorial condensed into a .pdf for you to download and print and use at your convenience! There is a button on my sidebar that links back to this post, so the information will always be easy to find. As I learn about more drives or organizations donating these dresses I’ll update the information so you can always have the latest if you’re interested in donating! It really touches me just how giving and selfless people are, so keep it up! 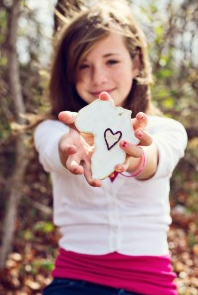 The difference you make to girls all over the world is changing lives in incredible ways! I would add it before you sew the sides together, make it the first thing you do. do you know of any place in australia that is doing this. fantastic, and would love to jump on board, but posting to the states . . . . . .
Aimee, I have been making dresses like this for Dress A girl Around The World and they have a rep in Australia. She has a blog at dressagirlaustralia.blogspot.com. I would like to make matching dresses for my girls sizes 2T, 10, 12, and 16. I see older girls wearing these dresses in the pictures and I am wondering how to alter the pattern…particularly the daughter wearing the 16. For your older daughters you’ll have to experiment a little to figure out how much fabric you’ll need. For the 10 and 12 you can probably expand my chart out, based on their height and weight. I’d probably go with 25 or 26 inches wide for them. For your 16 year old I would say she probably needs a good 30″ to give it room to ruffle, especially over a bust. To do the armholes, measure a tee in their sizes (not a fitted knit shirt, a true tshirt) from the shoulder seam to the side seam. 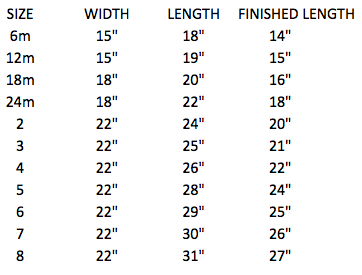 For all of them, measure from the little hole in your neck where the collar bones join and the neck starts (where men have Adams apples) down to the length they want, then add in the seam allowances like in the chart for the tie casing and the hem. I hope this makes sense! Thank you for the wonderful tutorial….you have beautiful children!! Hi Melissa! I have a quick question! I am going to be making a dress for a 9 year old and she gave me her waist, hip, and shoulder to floor measurements! I was wondering should I use the waist or hip measurement for the width? Also how many inches should I make the height for the dress if the daughter’s shoulder to floor measurement is 44 inches? Thank you so much! Thanks so much for this. I have three good friends who just got back from an OCC shoe box distribution in Uganda. One of them was telling me this weekend how much the girls love dresses which is why I looking for directions. Great tutorial! 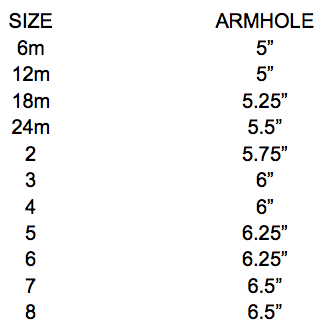 Are you armhole measurements before creating the casing? I am assuming they are. Thanks! Loved your site. 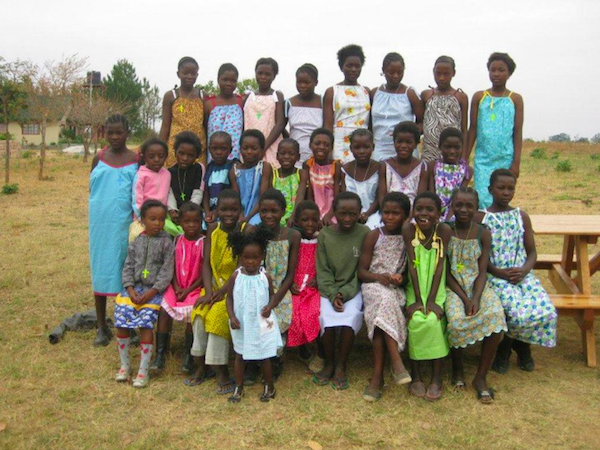 I am interested in supplying pillow case dresses to a friend’s newly founded orphanage in Ghana. Thought that pj shirt pattern that looks like a baseball shirt would work for the boys. I’m planning to add these items to 20 bed covers and matching pillow cases that will have 28 names of God in Hebrew embroidered on them. The first 20 are already on the way. Hi Ali! Look up “Little Dresses for Africa,” they’re always taking donations! Hi Joni : I too live in BC. I leave for Phoenix every winter where my church in Phoenix needlecraft group makes dresses and sends them off for donation. If you want I could email you that church address in Phoenix and I would be sure yours are received and sent on, or I could give you my BC address and I drive them down here for you each winter snowbird season. Or perhaps a service club in your town, like the lions club; would donate postage to you for sending them directly. Also talk to a Canada Post rep, they may have the address already for others who have mailed things. I haven’t made dresses yet because I have not a machine here, but am looking into it with our needlecraft group and we are holding a sewing ” Bee ” in February for church ladies to have a day to do some. I just made ten little dresses to send to Nicaragua.Thanks for making it so easy by supplying this tutorial. 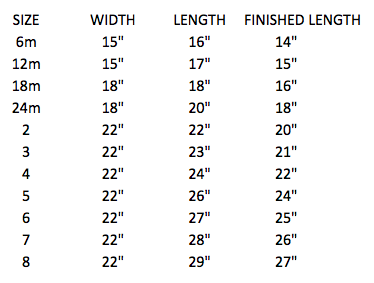 Some of the cottons in my stash are indeed only 36″wide, so I use this for the littlest dresses. There is an inquiry about this in the other thread. I just finished this for my four year old GD. I made it in Fourth of July fabric. Thank you!